Since 1996 we have been supplying photocopiers, faxes and phones,computers, business machines, office furniture and general office supplies in Stoke On Trent. We carry the largest stocks of business machines, parts and consumables for miles around. 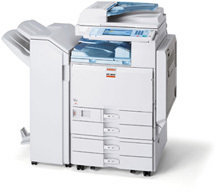 We deal direct with major manufacturers such as RICOH, CANON, OKI, PANASONIC, CASIO AND INFOTEC to secure the best range of business machines from which to choose. 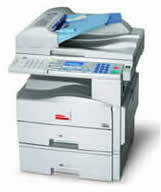 We also repair and service most makes of photo copiers. You will find many of them in our showroom, whereyou are free to try them out and quiz our sales staff before you buy. Our large showroom is split into general office supplies, furniture display and business machines areas. Call us or come along to the showroom and see for yourself how our 'old values' of customer satisfaction and after-sales support are supported by the 'new technology' of modern business equipment.